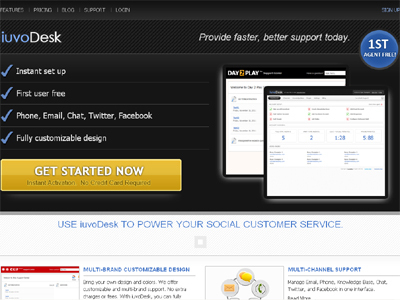 iuvoDesk is a cloud customer support platform. Phone, Chat, Email, Knowledge Base, Twitter, and Facebook in one elegant agent interface. We are the only product which support posting to external web services such as order management systems or external CRMs.